The online store is at Walgreens.com. 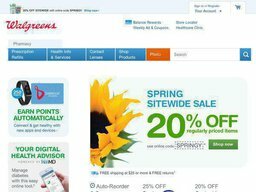 Here customers can redeem special Walgreens coupons for great offers and deals. We list all the latest coupon codes here at Coupofy, so be sure to check back before ordering to ensure you make savings. You will even find Walgreens in store coupons if you do not wish to shop online. Walgreens was found in 1901 in Chicago Illinois, which still serves as their headquarters. The Walgreen Company bought out Switzerland-based Alliance Boots, another large pharmacy retailer, and subsequently changed their name to Walgreens Boots Alliance. 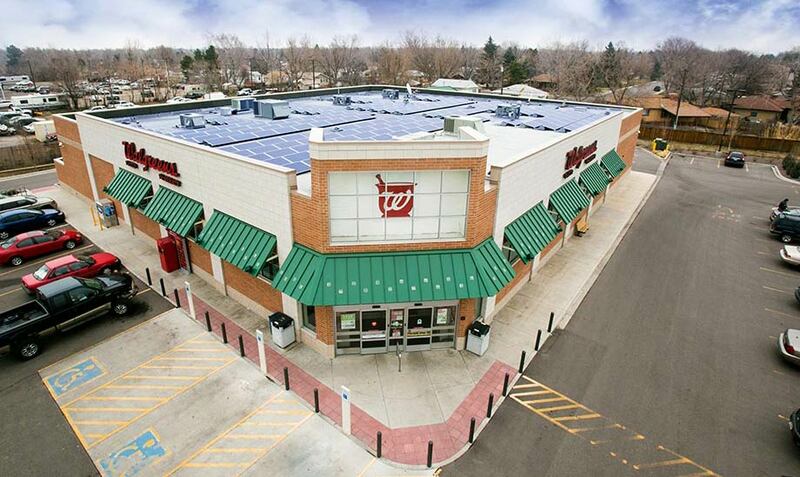 Now the company has international stores as well, but the United States’ locations are all know as Walgreens. Charles Rudolph Walgreen started with a humble corner drug store, but in the next decade he opened five more stores. Walgreens also has a claim to popularizing the malted milkshake in 1922, which they say was an invention from their stores. This combination of malted milk and shakes lead to a period where Walgreens established many ice cream manufacturing plants. Walgreens also prospered quite a bit during Prohibition, because they still sold prescription whiskey and were quick to restock with alcohol after the Prohibition ended. Walgreens.com offers the same quality products you would expect from a Walgreens brick & mortar store, but at the convenience of your fingertips. Customers can refill and manage their prescriptions and track their prescription history. Walgreens’ website also helps customers find out more about their prescriptions and their effects. The website also offers photo finishing services, contact lens fitting, and other eye care products. You can find a local store or a healthcare clinic in your area by perusing through the website. You can even buy all the Walgreens’ items you want online and then pick them up from the store within an hour so you can spend less time searching through the aisles for the deals you want. They also offer a Balance Rewards program for frequent shoppers, which can help you save on your next purchase! Although Walgreens is known for their pharmacy services they also offer a wide variety of selections in their merchandise. Their selection includes over-the-counter drugs, film and photo services, greeting cards, convenience foods, eye-care products, and beauty products etc. You can even shop by brand or check out the Walgreens brands for the products you want. They also stock As Seen on TV products so that you can easily buy them without the hassle of calling and dealing with shipping and handling. Their products include: Vitamins, Lotions, Shampoos, Deodorants, Baby & Children products, healthcare products, personal grooming items, skin care products, sexual health items, snacks, drinks, natural and organic products, diet and fitness items, groceries etc. There is also a dedicated page for sale items, and you can compound these savings with a Walgreens coupon code from Coupofy. You can pay for Walgreens.com orders with a debit card, Visa, MasterCard, Discover Network or American Express. You can also pay with PayPal and Bill Me Later. Walgreens stores accept cash, check, gift card, debit card, Visa, MasterCard, Discover Network, American Express, or Apple Pay. In order to redeem Walgreens online coupons, all you have to do is paste the code from Coupofy in to the promo box during checkout. Walgreens printable coupons obviously have to be printed and handed to the cashier at a physical store. Walgreens cater to all 50 US states and territories, though shipping prices differ. Within the 48 contiguous states all orders over the value of $35 ship for free without needing to use a Walgreen coupon. Below this threshold you will be charged $5.99. You can also pay extra for Expedited shipping at $12.95. All products purchased from Walgreens.com may be returned either to a store or by mail within 30 days of purchase unless otherwise noted on product page. All returns should be accompanied by the original receipt included with the shipment. Your satisfaction is 100% guaranteed on all Walgreens brand products! If you are not completely satisfied, return the unused portion and we will refund the full price, including shipping. @DeniseLienhard Can't wait, Denise! We appreciate your #RedNose support. @DeniseLienhard We'd love to see everyone with a #RedNose, Denise! @Eighteen10LLC @BravoTV @JennyAllende21 @omarbaronb @topstopmusic Looking great with that #RedNose! Thank you for the support! @RichieWhiteman7 Let's see a #RedNose selfie! @jmresist That is amazing! We're so happy we can be there for you!